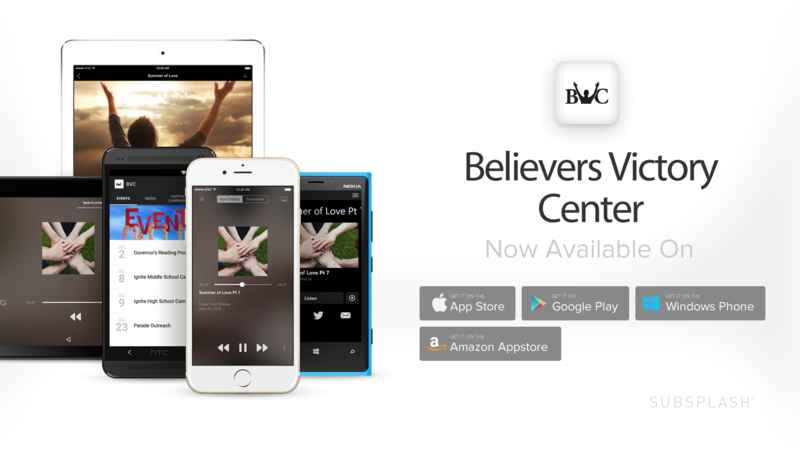 Believers Victory Center APP is here! We are excited to announce the arrival of our new app for your Android or Apple smartphones and tablets. mobile devices. Download for free by clicking HERE.